Clothing production was originally the responsibility of women. After the advent of form-fitting clothing in the thirteenth century, the responsibility expanded to include professional tailors and dressmakers. From the mid-fourteenth century, tailors authored published works on methods for cutting and constructing clothing. "How-To" books for the home dressmaker were published by the late eighteenth century and by the 1830s, small diagrams of pattern shapes appeared in various professional journals and women's magazines. Full-size patterns as free supplements with fashion periodicals emerged in the 1840s in Germany and France. In the United States, fashion periodicals introduced full-size pattern supplements by 1854. Unlike their European contemporaries, American pattern manufacturers produced patterns for the retail and mail-order market, thereby establishing the commercial pattern industry. The earliest surviving tailors' patterns appeared in Juan de Alcega's Libro de Geometria pratica y trac a para (1580). Garasault's Descriptions des arts et mètiers (1769), and Diderot's L'Encyclopédie Diderot et D'Alembert: arts de l'habillement (1776), played a crucial role during the Enlightenment to disseminate practical knowledge (Kidwell, p. 4). Intended for the professional tailor, the pattern drafts were the first that were generally available to the public. A number of publications, such as the American The Tailors' Instructor by Queen and Lapsley (1809), and other journals specifically for the professional tailor proliferated in the nineteenth century. These included tailored garments for both sexes. For the home dressmaker, manuals with full-size patterns and pattern drafts written for charitable ladies sewing for the poor included Instructions for Cutting out Apparel for the Poor (1789) and The Lady's Economical Assistant (1808). These featured full-size patterns for caps, baby linen, and men's shirts. The Workwoman's Guide (1838) contains pattern drafts, drawings of the finished piece, and pattern drafting instructions. Small pattern diagrams became a popular method of promoting the latest women's and children's fashions. Appearing in Godey's Lady's Book and Peterson's Magazine in the early 1850s, these were unsized with no scale given for enlarging the diagram. Full-scale, foldout patterns were issued as supplements in periodicals as early as 1841 in France and Germany, and in England in The World of Fashions (1850). In the United States, Godey's sold full-scale patterns by Mme Demorest through mail order in 1854. Frank Leslie's Gazette of Fashions included full-scale, foldout Demorest patterns in the monthly periodical as well as offering patterns by mail. The patterns were one size only. Because they were offered through retail or mail order, Demorest patterns were the first commercial patterns in the United States (Emery, p. 1999). They offered a wide range of ladies, children's, and men's tissue-paper patterns, either plain or trimmed. Ebenezer Butterick began to make patterns for children's clothing and men's shirts in 1863. He expanded the line to include ladies' garments in 1866 and incorporated Butterick & Company in 1867. A former tailor, he was familiar with graded sizes and offered patterns in a range of sizes from the beginning. The competition expanded in 1873 when James McCall began to manufacture McCall's Patterns, offering a range of sizes for all patterns. Even though varying sizes had a strong appeal, two imports-German and French-were competing for the market. Harper's Bazaar, an American version of Der Bazar of Berlin, introduced a weekly periodical with a pull-out pattern supplement sheet with 24 or more patterns printed on two sides. The one-size-only patterns are defined by different line codes for each piece super-imposed on each other. By 1871, Harper's was offering cut-paper patterns, although they continued the overlay pattern sheets until the early 1900s. From France, S. T. Taylor Company imported and marketed full-scale tissue patterns as supplements to each issue of Le Bon Ton, beginning in 1868. Taylor also offered made-to-measure patterns. Two more companies joined the competition in 1873, Domestic and A. Burdette Smith. Domestic was a subsidiary of the Domestic Sewing Machine Company, and their patterns were available in a variety of sizes. Smith's patterns offered a cloth model to facilitate the fitting process. The success of the pattern industry encouraged new competitors. In 1887 Frank Keowing, a former Butterick employee, formed Standard Fashion Company and sold Standard Designer patterns through leading department stores. Between 1894 and 1900 several noteworthy pattern companies were formed: New Idea (1894), Royal (1895), Elite (1897), Pictorial Review (1899), and Vogue (1899). Subsequently, these were joined by Ladies' Home Journal (1901), May Manton (1903), and Peerless (1904). Competition was keen, and each company touted the superiority of their patterns and the excellence of fit. Demorest was the first to go out of business after Mme Demorest, née Ellen Curtis, retired in 1887. Domestic ceased pattern production in 1895; Smith in 1897, Le Bon Ton in 1907 and Harper's in 1913. Further realignment of the companies occurred through mergers. For example, Butterick acquired Standard Fashion in 1900 and New Idea in 1902, although each retained its identity until 1926. Royal merged with Vogue in 1924. Joseph M. Shapiro formed the Simplicity Pattern Company in 1927. Depending on the pattern manufacturer, patterns in 1927 sold for 25¢ to $1.00. Shapiro's approach was to produce a less expensive pattern. Simplicity patterns sold for 15¢. In 1931 Simplicity formed a partnership with the F. W. Woolworth Company to produce DuBarry patterns, initially selling for 10¢. The company thrived and in 1936 acquired Pictorial Review and Excella, founded in 1922. Condé Nast, publisher of Vogue patterns, introduced Hollywood patterns for 15¢ in 1932 to appeal to the mass market and the national fascination with the movies. Hollywood patterns ended production in 1947. Advance Pattern Company produced another 15¢ pattern. Established in 1932, evidence suggests Advance was affiliated with J.C. Penney Company (Emery 2001). Advance ceased production in 1964. Syndicated pattern services such as Famous Features and Reader's Mail flourished in the 1920s. These companies produced inexpensive patterns for sale through newspapers. Mail-order patterns were a popular editorial feature, drawing the homemaker's attention to the paper's advertising pages. Patterns such as Anne Adams, Sue Brunett, and Marion Martin continued to be sold outright to the newspaper as a loss leader. Designs were targeted specifically for families in the middle-income and lower brackets. Patterns were first advertised in existing periodicals such as Godey's Lady's Book and Peterson's Magazine. In 1860, Demorest introduced its own publication, The Mirror of Fashion. It was first offered as a quarterly and later was incorporated in Demorest's Monthly Magazine, which established publication practices for subsequent pattern manufactures. The history of U.S. fashion magazines is inextricably linked to the history of the U.S. pattern companies. The advantage of owning and publishing their own periodical was economically sound. Subscriptions were profitable. Extensive portions of the magazines offered ample coverage of the patterns available as well as articles extolling the virtues of the pattern styles. Further in-house production of give-away flyers and pattern catalogs were cost-efficient. Such periodicals as Butterick's Delineator, McCall's Queen of Fashion, and Standard's Designer were house organs to promote the patterns with additional editorial features, short stories, and essays on various women's issues. Other established periodicals such as Ladies' Home Journal and Vogue incorporated sections on their patterns when these lines were established. Pattern companies produced fashion periodicals until the 1930s. These were gradually phased out or purchased by other publishers and the companies concentrated on catalogs to promote their fashions. Four key factors supported the development of the pattern industry: the inch tape measure, c. 1820; the availability of the sewing machine by the 1850s; the expansion of the U.S. Postal Service in 1845; and availability of dress forms for the home sewer by the 1860s. These elements were essential components for the proliferation of pattern sales. The pattern-making process is virtually unchanged from that developed by Demorest. 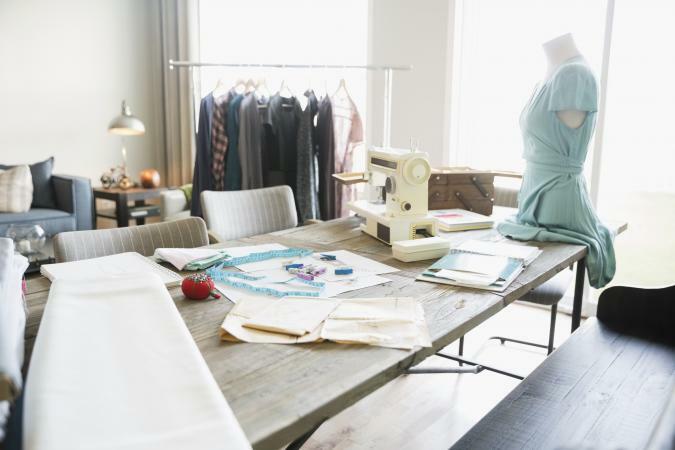 Once approved, the designer's sketch is drafted to size by the pattern maker in muslin and fitted for an average size-usually size 36 for women. The line and fit of the mock-up is checked before being sent to the grading department for translation to various sizes and transferred to master pattern blocks. The blocks include darts, seams, notches, and other pertinent information. Until McCall introduced the printed pattern in 1921, tissue-paper patterns were made with a series of perforations cut into each piece. The perforation system was partially derived from tailor's markings. The process for making cut and punched patterns remained unchanged and was still practiced by Famous Features Pattern Company until 1996. When McCall's patent for all-printed patterns expired in 1938, other companies converted to printing, although Vogue retained perforated patterns until 1956. With the introduction of computerized-design systems, the time for a new pattern to reach the market has been reduced from 2.5 months to as little as four weeks (Chatzky, p. 154). Early patterns had scant information on how to cut the garment and little instruction on how to make it. Initially patterns were folded and pinned together with an attached label to identify the garment and the number of its pieces. Demorest introduced pattern envelopes in 1872. By 1906, pattern layouts were included on the envelopes by many pattern companies. Instructions for making up the garment were introduced by Butterick in 1916. The instruction sheet was called the Deltor, named for the first and last three letters from Butterick's magazine, The Delineator. Both the pattern layouts and instruction sheets, which are now standard practice, were done by hand for each pattern style. Today layouts and instruction sheets are done on computer. For the latter, templates such as how to insert a zipper or set in a sleeve, are plugged into the instructions. Most illustrations, which were originally done by hand, are now done on computer, as are the paste-ups for counter catalogs and other promotional materials. 1920s Bust 32", Waist 27", Hip 35" Bust 36", Waist 28", Hip 39"
1940s Bust 32", Waist 26.5", Hip 35" Bust 36", Waist 30", Hip 39"
Late 1950s Bust 34", Waist 26", Hip 36" Bust 38", Waist 30", Hip 40"
1967 (new sizing) Bust 36", Waist 27", Hip 38" Bust 38", Waist 31", Hip 42"
1970s Bust 36", Waist 28", Hip 38" Bust 38", Waist 32", Hip 42"
1980s-2000 Bust 36", Waist 28", Hip 38" Bust 40", Waist 32", Hip 42"
Current fashions and undergarments influence proportional systems. As explained in Butterick's The Metropolitan in 1871, a lady with a bust measure of 32" usually has a waist of 24", or 8" less than the bust; but a girl of 10 years usually has a bust measure of 27", with the waist usually 24". By 1905 when the flat-front corset was in vogue, the proportion for the 32" bust changed to a 22" waist. Each company uses its own proportional system; they are similar but not standardized. By the 1920s, sizes for misses generally dropped the age reference and kept the sizes. Data compiled from the Commercial Pattern Archive digital database (CoPA) illustrate the shifts in typical sizing for size 14 and 18 from the 1920s through 2000 (see Table 1). Each company continues to offer a wide range of sizes including misses, women's, half-size, petite, junior petite, maternity, toddler, girl/boy, child, men, and infant. Teenage fashions were introduced by Simplicity in the 1940s. In the 1980s Butterick instituted letter-coded sizes called Today's Fit, which are designed for the changing proportions of today's figure of about 5'5" with slightly larger waist and hips than misses' sizes. A full range of current size charts can be found in the catalogs and the Web sites of the pattern companies. Four major companies currently produce patterns. Butterick acquired Vogue in 1961 producing patterns under both signatures. McCall acquired Butterick and Vogue in 2001 but is producing patterns under all three imprimaturs. Simplicity joined Conso Products Company in 1998. Diversity is a major incentive. The companies have developed global markets, producing patterns in multiple languages. African American models were included in promotional materials in the 1960s. The style lines have been expanded to include more emphasis on crafts, patterns for period costumes, children's costumes, and vintage reproductions of previous eras. Patterns are a valuable historical reference for everyday clothing, American ingenuity, entrepreneurship, and the democratization of fashion. 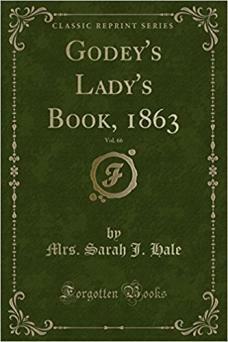 See also Godey's Lady's Book; Sewing Machine; Tailoring. Alcega, Juan de. Tailor's Pattern Book, 1589. Translated by Jean Pain and Cecilia Bainton. Bedford, U.K.: Ruth Bean, 1979. Arnold, Janet. 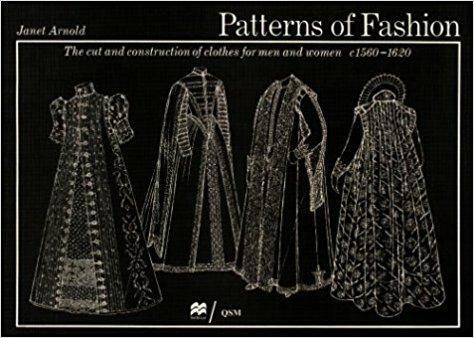 Patterns of Fashion: 1560-1620. London: Macmillan Publishing Company, 1985. One of three in the Patterns of Fashion series. Introductions in each contains an excellent overview of clothing production. Burman, Barbara, ed. The Culture of Sewing: Gender, Consumption and Home Dressmaking. Oxford: Berg, 1999. Excellent series of essays covering a breadth of topics related to clothing production. Chatzky, Jean Sherman. "Reaping from Sewing," Forbes 25 (May 1992): 154-158. Informative article for the pattern business in the early 1990s. Emery, Joy S. "Development of the American Commercial Pattern Industry, 1850-1880." Costume 31 (1997): 78-91. --. "Dress like a Star: Hollywood and the Pattern Industry." Dress 28 (2001): 92-99. Kidwell, C. B. 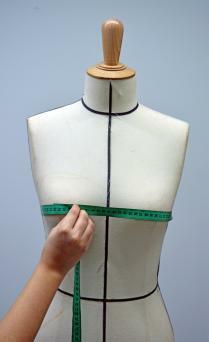 Cutting a Fashionable Fit: Dressmakers Drafting Systems in the United States. Washington D.C.: Smithsonian Institution Press, 1979. Concise introduction on the origins of clothing production. Mott, Frank L. A History of the American Magazines. 5 vols. Cambridge: Harvard University Press, 1938-1968. Thorough coverage of fashion periodicals, especially volumes 3-5. Ross, Ishbel. Crusades and Crinolines: The Life and Times of Ellen Curtis Demorest and William Jennings Demorest. New York: Harper and Row, 1963. The only full-length bibliography on Mme. Demorest. Seligman, Kevin L. Cutting for All! : The Sartorial Arts, Related Crafts and the Commercial Paper Pattern. Carbondale, Ill.: Southern University Press, 1996. A comprehensive bibliographical reference related to clothing production.